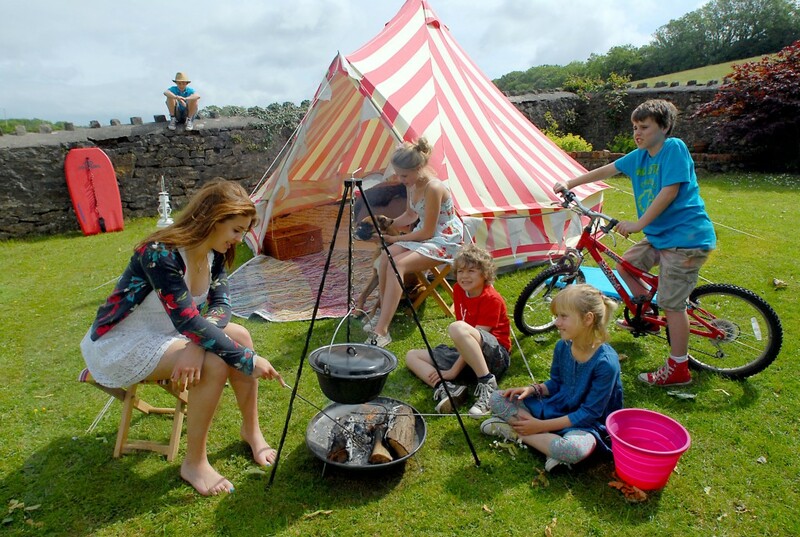 One of the advantages of the camping, is an activity that takes place outdoors and can suit any age. It can be very good plan you can go with your family a few days to enjoy nature and tranquility in a campsite can find. We may think that going camping with toddlers can roll back, even if the site is well conditioned and weather conditions accompany, going to family camping can become an unforgettable experience. If you love nature, probably going to camping is one of the best ways to spend your vacation and you’ll be in full contact with all natural and let go of the life of gum that everyone touches us almost every day of the year. However, if you’re going camping with kids you have to find a lot of ways to not get bored and find it as interesting as to you the fact of being on a mountain without television or other entertainment to which they are comfortable. – If you like to draw, looking for interesting textures, like the bark of trees or rocks, to place a paper on top and tracing. They can also use paper to make a drawing of any animal they see. – Organize a treasure hunt, is perhaps one of the most enjoyable activities. Find out what species of trees or animals are in the area and give a list to each one to get photograph. Also give a small map with a simple collected to feel more adventurous. Not only they will have a great but learn to relate to the environment and, more importantly, to respect and treat it with care. – Another game is guess the shape they are made from focusing with a flashlight inside the tent. – Finally, you can also encourage them to find objects that can make sounds and then make a small band with them. You can also close their eyes and you make a noise with one and try to guess what or what is. This will activate enjoyed their hearing acuity. Sure there are many more tips that I could give, but the basic thing is that you come wanting to spend a pleasant holiday, surrounded by family, nature, beach, animation and fully conditioned Camping for the enjoyment of children. I hope these tips can help you to go camping with children.